عندما تزور جزيرة موريا, ستشعر أنك في بيتك في منتجع سوفيتيل موريا لا أورا بيتش الذي يقدم لك إقامة متميزة و خدمات عظيمة. لا يبعد الفندق كثيراً عن مركز المدينة، فهو يقع على بعد 2. Km منها. في حين يستغرق الطريق منها إلى المطار حوالي 5 دقيقة. سوف يعشق النزلاء موقع هذا الفندق، فهو قريب من أهم المعالم السياحية في المدينة كمثل Moorea Temae Airport, Moorea Green Pearl Golf Course, Moorea Ferry Terminal . إن الخدمات التي يقدمها منتجع سوفيتيل موريا لا أورا بيتش تضمن للنزلاء إقامة مريحة. يقدم هذا الفندق العديد من الخدمات الكفيلة بإرضاء أكثر الضيوف تطلباً. لقد جهزت هذه الإقامة الفندقية بعناية فائقة لتوفر مستوى عالي من الراحة. في بعض الغرف يجد النزيل تلفزيون بشاشة مسطحة, بياضات, مناشف, غرفة معيشة منفصلة, اتصال لاسلكي بالإنترنت. إن حوض استحمام ساخن, شاطئ خاص, مركز للياقة البدنية, ساونا, مسار جولف - ضمن 3 كم هو المكان الأمثل في الفندق للاسترخاء وتفريغ طاقتك بعد نهار طويل. إن منتجع سوفيتيل موريا لا أورا بيتش هو خيار ذكي بالنسبة للمسافرين إلى جزيرة موريا، بما يوفره من إقامة هادئة ومرحة. الأطفال تحت سن 2 سنوات يحصلون على فطور مجاني. الأطفال بعمر 3 إلى 11 سنوات يحصلون على الفطور بنصف سعر وجبة الكبار. 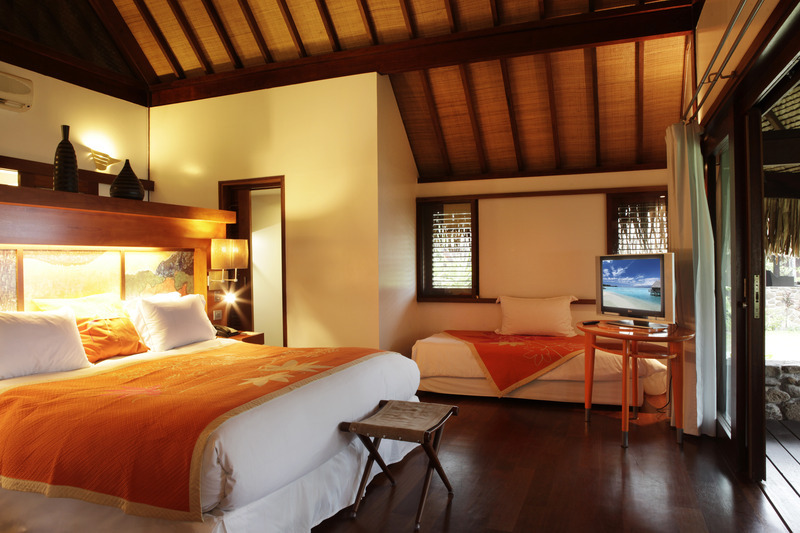 Best resort in the island...the lagoon is blue, full of fish, rooms are amazing...the luxury beach bungalow is the best! We stayed in another resort and moved here because of the location...everything amazing! 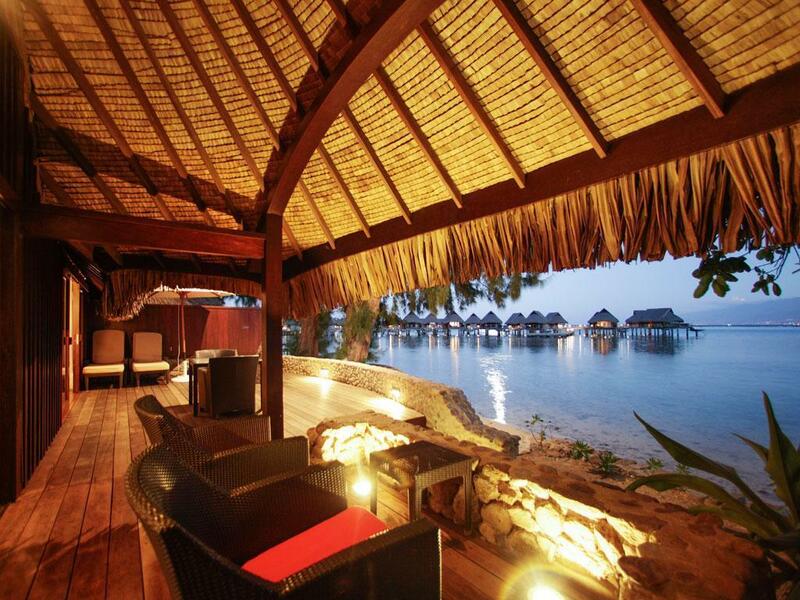 This was my first over the water bungalow stay and it was incredible. From the moment we walked in to check-in, we were treated wonderfully. And although the resort was full, it felt so peaceful and quiet all the time. The breakfast was the best I’ve ever had ANYWHERE! The room was breathtaking...waking up every morning and opening the curtains to that view was exquisite. Doing yoga on our private balcony in the morning before breakfast was also wonderful. All in all, it was a great stay. I would go back in a heartbeat. The only thing I wouldn’t do again was the dinner on the beach. It was fine but not worth the money. Just dine in the restaurants on property or go into Maharepa. Rudy’s was lovely. It was extremely busy for my check in but the staff were amazing in acknowledging I was waiting for a long time. Upgraded me and made sure I was looked after and happy. Easy of access. Great and friendly staff. Food is amazing. One of the best hotel I have been to. I would say great to relax and rest with some options for exploration. 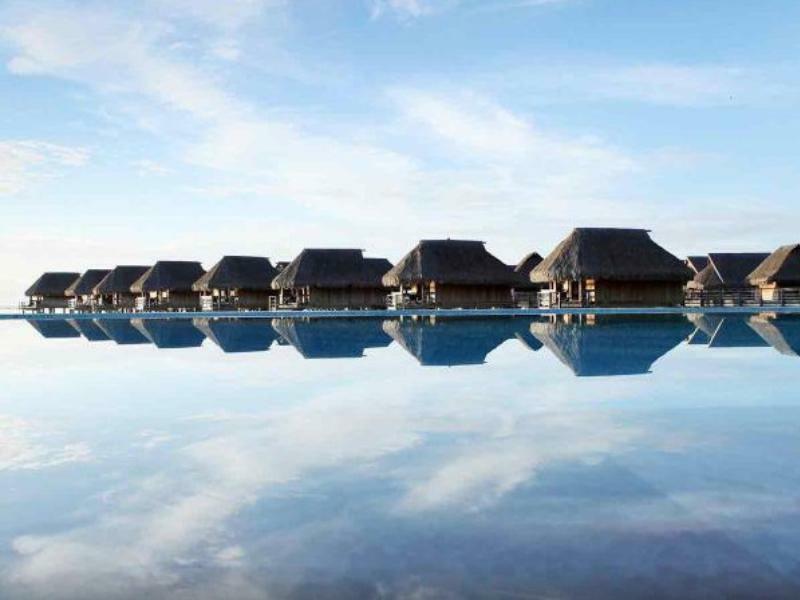 We stayed in a luxury overwater bungalow for a few nights and really enjoyed our time at this resort. The bungalow was perfect - well decorated with comfy bed and chairs, our own balcony and dock with a freshwater shower, and a beautiful view of the water and Tahiti in the background. The resort gardens and beach were also very nice and well maintained. 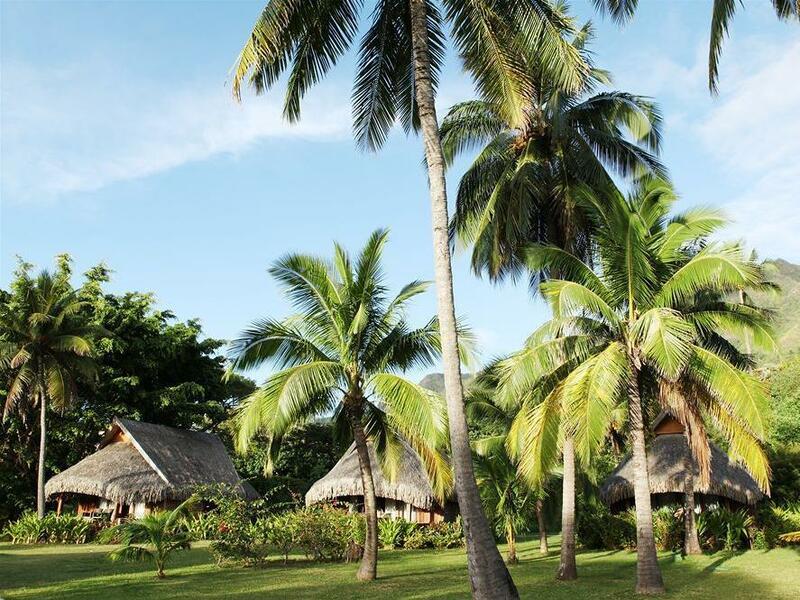 We paid a lot for the bungalow so we had high expectations for our stay and the only thing that did not meet our expectations was the staff and check in experience. Our room was not ready at the check in time after we arrived early. We also had to keep checking back to see when the room was ready rather than them letting us know. By the time our room was ready, we had to wait even longer to get our bags delivered because the bell boys were "busy" delivering other bags. I would have expected a priority check in service given we were paying for one of the most expensive rooms. The staff were friendly but did not go out of their way to meet their customers needs. We had to ask several times to get chair cushions delivered to our room and each person replied they would be their soon but several hours past before we got them. In summary, it was a beautiful resort and I would recommend it to others with the caveat to not expect top service. 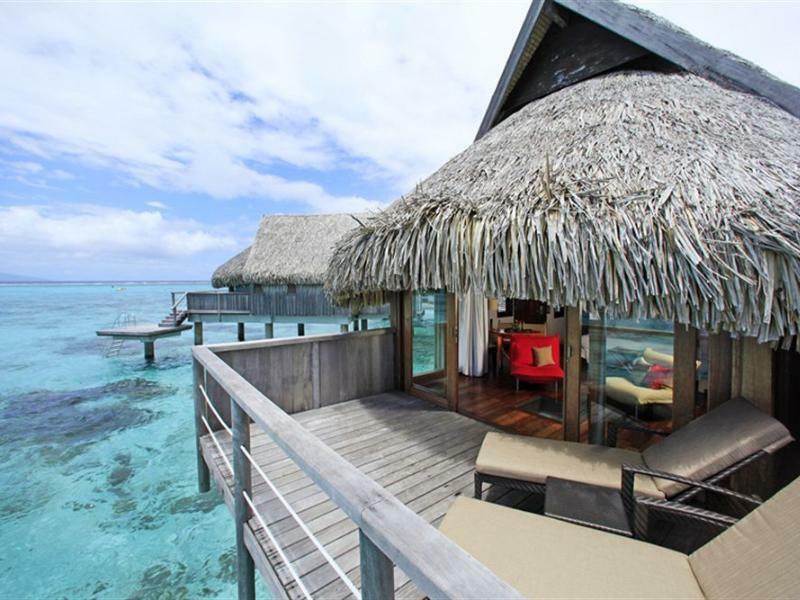 We stayed in room 212 overwater bungalow. It was incredible!! The water and snorkling from our bungalow was amazing. Best beach and resort on the island. Staff were very friendly and helpful. Excellent facilities. The breakfast is pretty expensive, A$40. 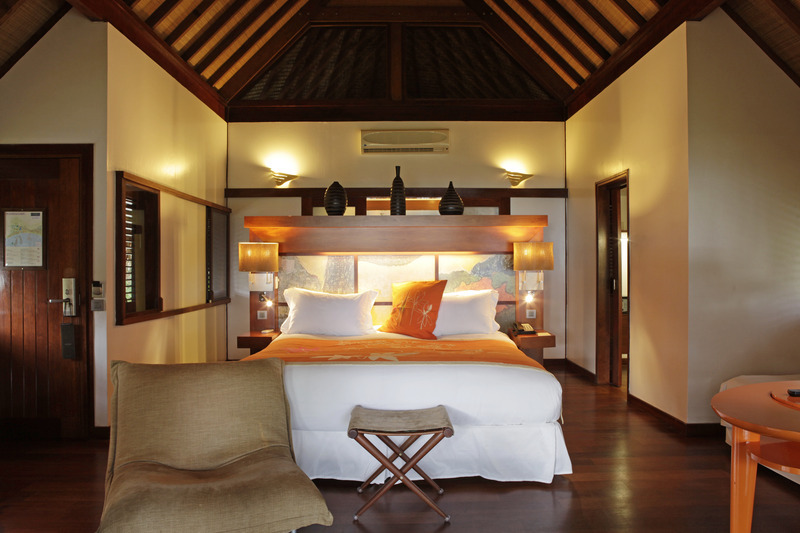 However similar with the Sofitel in Bora-Bora, the bed is first class. The lagoon is beautiful. Service is quite disappointing, our passports were held by one of the persons there for almost 2 hours whilst he were doing other things, and did not hand it in directly to us. Great location and good rooms with very good beach. This is the paradise. Room service need to improve. 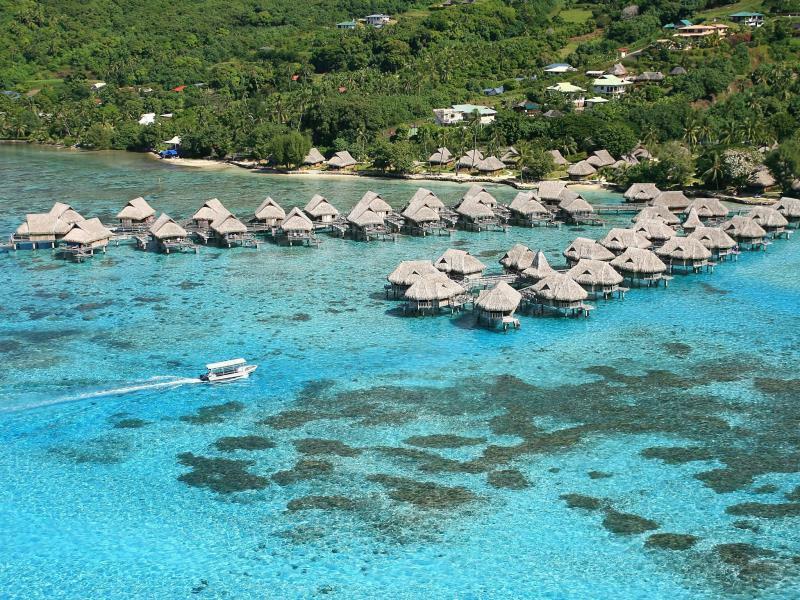 Moorea ist recht teuer, das Sofitel hält sich noch in Grenzen, die Bungalows sind hübsch am Strand angeordnet. Das Personal ist äusserst freundlich und das Essen in Ordnung, ebenso das Frühstück. O hotel localiza-se numa bonita baía e na melhor zona da ilha.